Alexander Kadakin wore his admiration and love for India on his sleeve and fiercely defended Indian cultural traditions to his countrymen, writes P.S. Raghavan, former Ambassador of India to Russia. Every summer, without fail, Alexander Kadakin (“Sasha” to his friends and admirers) would disappear from Delhi for about six weeks to the healing waters and abstemious regime of a health spa near the Caucasus region of Russia. Thus rejuvenated, he tirelessly devoted his energies, for the rest of the year, to the cause of India-Russia relations – travelling around the country, knocking on political and official doors, promoting dialogue at various levels, cajoling businesses to engage more intensively and devoting extraordinary attention to mutual cultural understanding. Sasha spent over 20 years in different diplomatic positions in India at different stages of the Indo-Soviet/India-Russia relationship. There was little about our political structures, bureaucratic practices or cultural diversity that he did not understand. As a fluent Hindi speaker, he reached constituencies and circles that most foreign diplomats in Delhi do not access. He therefore had an extraordinary sensitivity to the national pulse. This meant he could be depended upon to accurately brief his government on moves that would be appreciated in Delhi and (more importantly) those that would be considered unhelpful to the bilateral relationship. Sasha wore his admiration and love for India on his sleeve. He fiercely defended Indian cultural traditions to his countrymen. A graphic example was in 2011, when some activists moved a Russian court to ban a Russian version of Bhagavad Gita (published by ISKCON), arguing that it incited religious, social, and racial intolerance. There was outrage about this in India, including angry scenes in our Parliament. 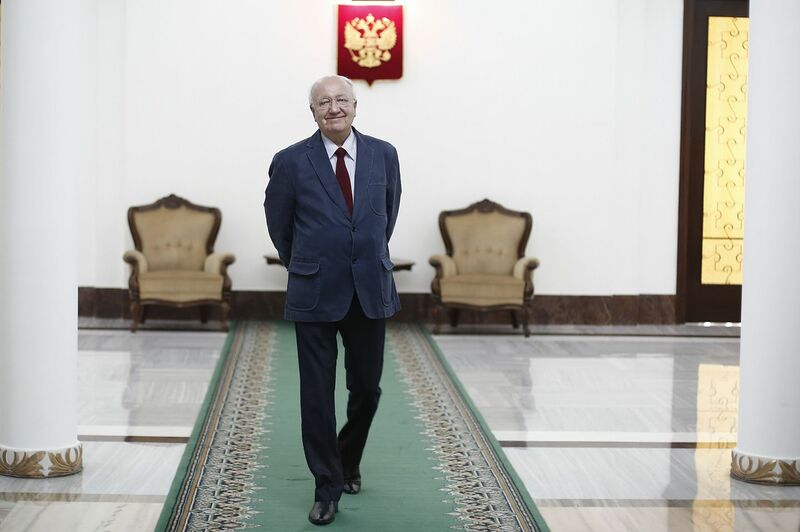 Sasha played an important role, not only in sensitising the top echelons of the Russian government to the emotive nature of this issue in India, but also undertaking a public diplomacy campaign in India. Describing the activists as “madmen”, he publicly defended the reaction of India’s government and parliament and declared that the Bhagavad Gita “is a source of wisdom and inspiration” for India, Russia and the world. As Ambassador of India to Russia, I had the pleasure of working closely with Sasha Kadakin. We were a team with the common objective of furthering the India-Russia strategic partnership in directions of mutual benefit. Two examples can be mentioned. One is the India-Russia effort to promote direct trade in diamonds, rectifying the existing reality of most of Russia’s $4 billion exports of rough diamonds coming to India from third countries. This initiative to alter the status quo encountered resistance from some quarters in both countries. The joint inauguration by Prime Minister Modi and President Putin of a World Diamond Conference in Delhi imparted the required momentum in both countries. Sasha’s monumental effort with the Russian side to make it happen needs acknowledgement. The other case was the project for joint manufacture of Russian Kamov helicopters in India. As the first Make in India project in the defence sector, it needed to be steered through many bureaucratic hurdles to be ready for announcement when the two leaders met in December 2014. Eventually, it required direct approach to the two leaders to cut through the red tape. Sasha moved the levers on the Russian side to help it happen. In each of these cases, Sasha demonstrated the courage of his convictions. Once he was convinced of the importance of an issue for bilateral relations, he did not flinch from taking it up at the highest levels of his government, even if it meant crossing some of his senior colleagues in his own Ministry. I have seen him do this time and again. An important reason for Sasha’s enormous popularity in India was undoubtedly his transparent love for India and its culture. Another was his easy accessibility to friends and acquaintances. Most importantly, he never forgot a friend, even from a distant past. In 2012, the Russian embassy marked the birth centenary of Ambassador Triloki Nath Kaul with a photo exhibition, inaugurated by our External Affairs Minister. Like Sasha, Ambassador Kaul had been involved in crucial phases of the bilateral relationship. The exquisitely curated exhibition, with skilfully restored rare photos, was a touching tribute to a long-departed Indian diplomat. Rarely do diplomatic missions expend their money and energy on personalities that do not enjoy current salience. Sasha understood the relevance of historical experiences to the present and future. At times, Sasha could be brutally outspoken. He famously commented on India’s acquisition of the Rafale aircraft that it could be swatted like a mosquito by a Chinese Sukhoi. He felt that competing Russian platforms had not been fairly evaluated. At other times, he publicly opined that our tenders for defence acquisitions put Russian bidders at a disadvantage. Such outbursts normally have career-threatening consequences for diplomats. Sasha’s sterling credentials as a steadfast friend of India seemed to give him an extraordinary immunity, further reinforced by the recognition that he remonstrated equally strongly with his government against actions which he considered detrimental to the strategic partnership. I recently saw a quote from Sasha’s speech of some years ago: "One can only guess what is written in God's book of destiny, but I do believe my listing is enciphered both in Cyrillic and Devanagari." One might add that if it is a listing of his achievements, it would run into many pages in each of the scripts. The author is a former Ambassador of India to the Russian Federation (2013-2016).